When I was asked to assist at De la Salle in 2007 I learned quite a bit had happened during my 20-year coaching hiatus. Two changes stood out immediately. One was that the term “Jap whizzer” was no longer considered “politically correct.” I found that baffling as I always considered it a compliment to the Japanese for inventing it (initially as a judo throw). 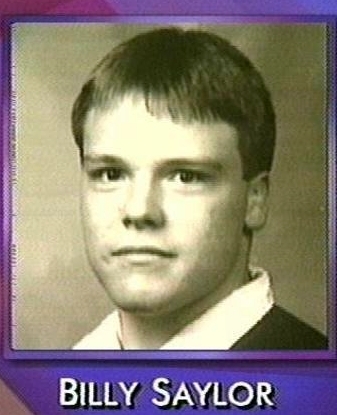 The year was 1997, and it was not just a Michigan wrestler who died while trying to cut too much weight too fast. In the preceding 33 days, two other college wrestlers also died for the same reason. Billy Saylor of Campbell College in North Carolina died on November 7th, 1997. Joseph LaRosa of the University of Wisconsin-LaCrosse died on November 21st, 1997. Jeff Reese of the University of Michigan died on December 9th, 1997. Saylor, 19, died of cardiac arrest after riding a stationary bike and refusing liquids. LaRosa, 21, died of heat stroke while riding a stationary bike to lose weight. Reese, 22, died of kidney failure and heart malfunction while working out in a rubber suit in a room temperature above 90 degrees. Evidently, it took the death of a wrestler from a Big Ten university to merit the press coverage these deaths deserved. While recently researching the Times-Picayune microfiche for the 1997-98 season, I found four little pieces on the death of Jeff Reese of the University of Michigan (images left). The first mentioned that he died while cutting weight. The second stated no criminal charges would be filed against the University of Michigan relating to Reese’s death. The third indicated the Wolverines would resume their wrestling season on December 31st with “weight-loss safeguards” in place. The fourth mentioned that the University of Michigan athletic director considered dropping its wrestling program. This one also mentioned that in January of 1998 the NCAA banned the use rubber suits, saunas, diuretics and other rapid weight loss measures. In my day cutting weight was considered SOP (standard operating procedure). I generally dropped 13 lbs. twice a week in my sophomore and junior seasons. With the aid of a full wet suit, a “normal” plastic suit, plenty of sweats, a bicycle, some running, a nice lawn on which to take a rest (“Carole, is that your friend Martin lying in our front yard?”), I lost 15 pounds in little more than 24 hours. I weighed 153 lbs. before practice and at 5:30 the next day stepped onto the scale, exhaled, and made 138 lbs. Granted, I did not win my match against De la Salle that night - in the last 30 seconds I let some pesky sophomore named Stephen Gibbons score a takedown for a “kissing your sister” tie. By that time, though, I was pretty delirious, although I do remember my sister yelling at me to “stay away” as I took my last ill-fated takedown shot. Dramatic weight loss in wrestling has been an issue since the 1930s. The American Wrestling Coaches Association tried to mitigate the occurrences by adding a suggestion in its 1934-35 guide stating “Any coach who deliberately cuts down the weight of a boy to win a match is committing an unpardonable crime and should be punished.” Decades later, even after the formation of the NCAA Committee on Competitive Standards and Medical Aspects of Sport (CSMAS), wrestling coaches were still not mandated to follow recommended actions designed to reduce harmful weight-loss tactics. Yet despite what the CSMAS suggested, the NCAA Wrestling Coaches Association would not acknowledge the current weight loss practices “necessarily constitutes a problem for the sport of collegiate wrestling.” The improper use of saunas and whirlpools were disregarded on the basis that they served as therapeutic services. Wrestling coaches, and not the doctors and researchers, apparently suffered from the “God Complex” as far as their athletes were concerned. Then, in 1997, Saylor, LaRosa and Reese died in the span of 33 days. Now with media pressure on them, the two sides worked several things out. The CSMAS and the Coaches Committee, in January of 1998, banned plastic suits, sauna suits and saunas. Matches were to be held an hour after weigh-ins for dual meets and two hours for tournaments. "Now that the NCAA has changed their weight classes and weight loss procedures, there is no logical reason for high school wrestlers to continue to subject themselves to antiquated and extreme weight loss measures. "Unfortunately, the new NCAA regulations came a year too late to save Billy Jack Saylor, Joe LaRosa and my son, Jeff Reese. Let's not see the high school regulations come too late for some high school wrestler. "I wonder what a high school coach would tell the mother of a young wrestler who died "sucking weight." He can't say "We didn't know." That excuse was used 7 1/2 years ago, when my wife and I buried our youngest son. "Intelligent men make intelligent decisions based on factual information. We have the facts. We have the information. Now let's make the intelligent decisions." The Optimal Performance Calculator may be the best thing to enter the realm of competitive wrestling since time limits and officials. Combining the OPC determinations with a healthy dietary regimen will get you wrestling at your healthiest without the serious and even fatal complications that have arisen via drastic, non-regulated weight loss measures. One thing the OPC and hydration testing regimen cannot provide, however, is common sense. Walk into practice complaining to your coaches about not having breakfast or lunch during the day will still probably get you pushups more often than pity. Just as you prepare to make weight for a match, prepare to be as close to that weight as possible for practices. The last 30 seconds of a match is not the time to face delirium. More information on the Optimal Performance Calculator may be found at www.nwcaonline.com/nwcaonline/wrestling.aspx#. ¹ Hendrickson, Brian. "Wrestling away from a troubled past." www.ncaa.org, October 9, 2013. Hendrickson, Brian. "Wrestling away from a troubled past." www.ncaa.org, October 9, 2013. Litsky, Frank. "Wrestling; Collegiate Wrestling Deaths Raise Fears About Training." New York Times, December 19th, 1997. Thompson, Jack. "Michigan Wrestler Dies During Workout." Chicago Tribune, December 11, 1997. 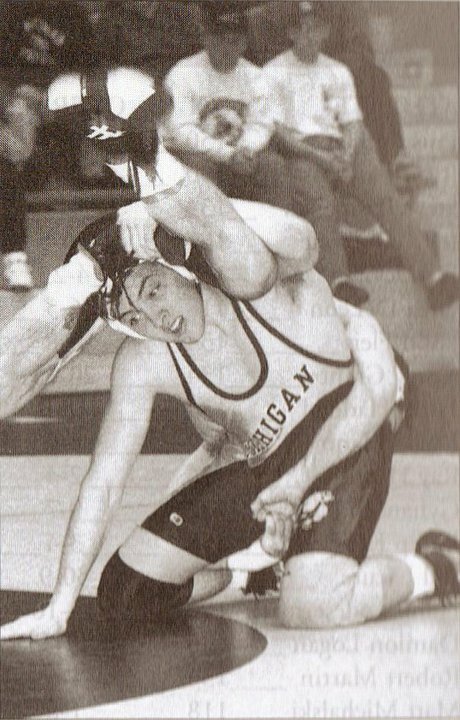 "No Charges in Death of Michigan Wrestler." Chicago Tribune, December 27, 1997. "Campbell University Officials Dealing with Questions, Grief after Student's Death." www.wral.com, NC Channel 5 Website, November 7th, 1997. "Late Wolverines wrestler waited too long to shed weight, school says." The Augusta Chronicle, January 4th, 1998. Reese, Ed. Open letter to Mike Moyer, president of the National Wrestling Coaches Association, circa 2005.